BEATRICE "BEA" HOFFMAN, age 98, of Worthington, formerly of Wilmont, died Monday, August 13, 2018 at the Sanford Worthington Sunset Hospice Cottage. She was born July 20, 1920, in Lismore, to Jake and Mary (VonHoltum) Fath. Bea graduated class Valedictorian from St. Anthony Catholic High School. She worked as a nurse’s aid at the hospital in St. James. Bea married Arnold Hoffman on November 11, 1943, at St. Kilian Catholic Church. The couple farmed one mile north of St. Kilian. In 1964, they moved to the farm north of Wilmont. In 1980, they retired and moved to Wilmont. Bea moved to the Meadows, in Worthington, in 2011. She was a member of Our Lady of Good Counsel Catholic Church in Wilmont; and the WCCW. Bea was a caretaker of many family & friends. She volunteered at the Arnold Memorial Nursing Home in Adrian as a Grey Lady and later was the last survivor of the Pink Ladies. She enjoyed quilting and loved children and babies. 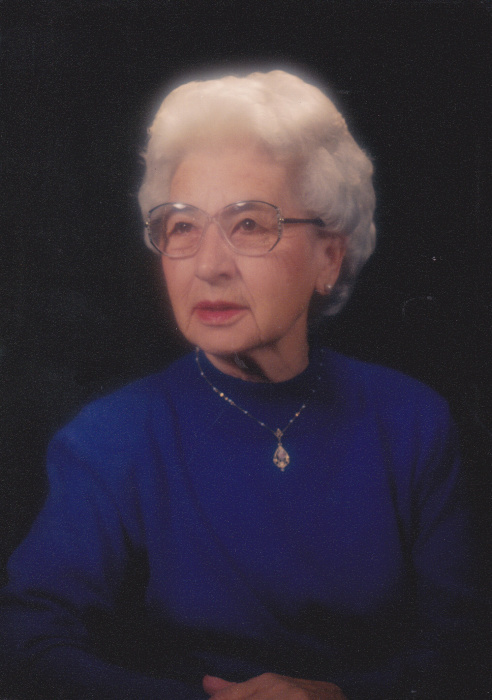 Bea is survived by her five children, George (Jean) Hoffman, Wilmont; Pamela (Woody) Einck, Reading; Steve (Brenda) Hoffman, Rock Rapids, IA; Virgil Hoffman, Wilmont; and Bob Hoffman, Lismore; daughter-in-law, Dorothy Hoffman, Bonifay, FL; thirteen grandchildren, Brian Hoffman, Michael (Erin) Hoffman, Bradley (Laura) Hoffman, Lori (Bob) Bristow, Todd (Brenda) Einck, Amy (Michael) Howell, Curtis (Carle) Hoffman, Coreen (James) Montag, Matt (Erin) Hoffman, Scott (Karie) Hoffman, Andy Hoffman (Matthew Bean), Aaron Hoffman and Lexie Hoffman (special friend, Jon Harmeling); twenty three great-grandchildren; two sisters, Rosemary Hoffman, Wilmont; and Joan Winkel, Worthington; and two brothers-in-law, Stan Hoffman, Worthington; and Wes Andrews, Hemet, CA. She was preceded in death by her parents; husband, Arnold on April 1, 1987; son, Dennis on August 30, 1988; granddaughter, Tracy Hoffman; and an infant grandson. Visitation will be from 4-7 pm Thursday at Our Lady of Good Counsel Catholic Church in Wilmont with parish prayers at 4 pm. Visitation also one hour prior to the service at the church on Friday. Funeral Mass will be Friday at 10:30 am at Our Lady of Good Counsel Catholic Church, in Wilmont, officiated by Monsignor Richard Colletti and Deacon Vern Behrends. Burial will be in the Calvary Cemetery in Wilmont. Dingmann Funeral Home, in Wilmont, is in charge of arrangements.